In this part, we’ll update the app for production and package it for all three major operating systems: Windows, Mac OS, and Linux. 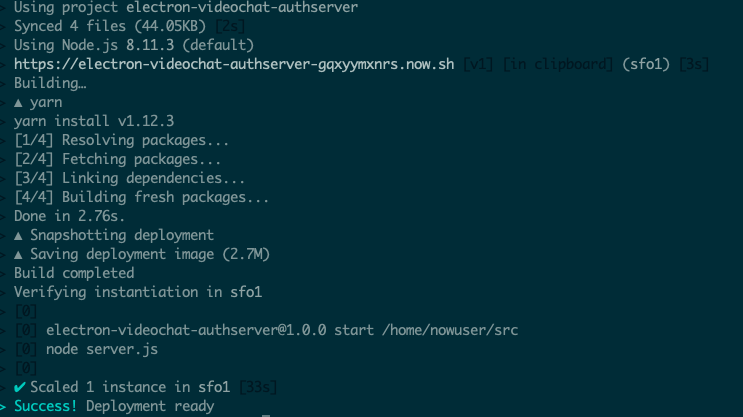 This is the last part of a three-part series on creating a video call and chat app with Simple Peer and Chatkit. Knowledge of React is required. Reading part one and two of this series is optional if you only want to learn how to prepare an Electron app for packaging. In order to package the app for several platforms, you need to have Windows, Mac, and Linux operating systems. It’s okay if you don’t have all three of these, you can still package the app for the operating system that you’re using. 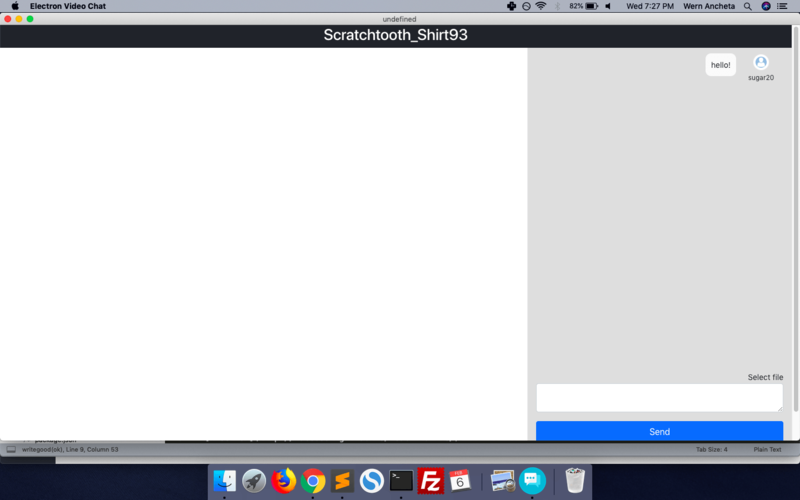 Lastly, this tutorial requires a Zeit.co account and a Twilio account. The first thing that we need to do is deploy the server. The simplest way to do that is via the Now service by Zeit.co. Go ahead and sign up for an account if you don’t have one already. Once you’re logged in, you can view your projects from the dashboard. 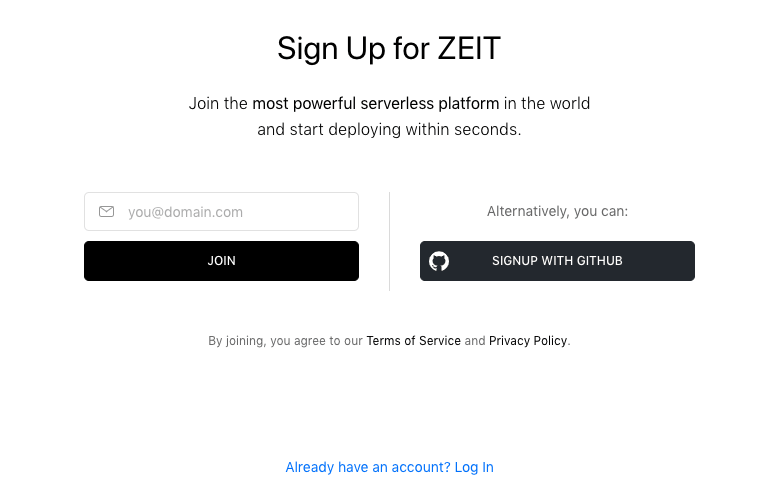 If you haven’t previously used Zeit, there will be no projects there. Let’s go ahead and add one. Note that the values don’t have to be wrapped in double quotes. Also, omit the v1:us1: prefix from the Chatkit instance locator ID. You can try accessing the URL in the browser to see if it’s working. It should return “All is well.” since that’s what we have in the root route. This works most of the time. But there are cases where the public IP address of the user is located behind a NAT or firewall. If it is, and the firewall doesn’t allow the two users to connect directly, then a peer-to-peer connection simply isn’t possible. It is the job of the TURN server to relay data (in our case, it’s the video stream) between the two users. 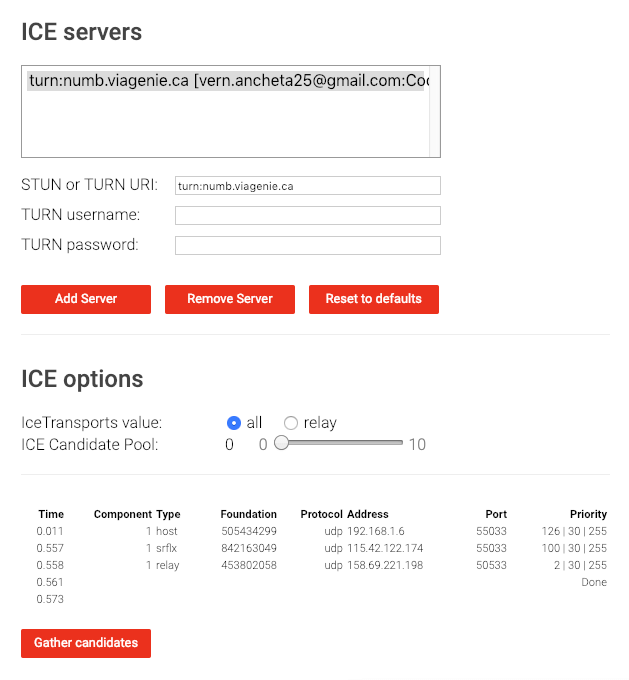 If you want to learn more about this process, be sure to check out Twilio’s FAQ on what STUN, TURN, and ICE are. Simple Peer only uses a TURN server when needed. The two servers it uses are free to use. But for production apps, you don’t really want to rely on a free server because of practical reasons (for example, it might go down and you don’t have control over it). For this tutorial, we will be using Twilio’s paid Network Traversal Service. Create a Twilio account if you don’t have one already. "date_updated":"Wed, 06 Feb 2019 06:00:40 +0000"
Note that we’re still using the default STUN servers used by Simple Peer. This is because Twilio’s service is paid. If you want to avoid incurring lots of fees, you should leverage the free services as much as possible. Especially if your app is free. The ones on the top will be used by Simple Peer by default, so the paid servers only get used if there’s an actual need. There’s also another free service that you can use here. Another option is to run your own server. You can find instructions on how to do that here. You can then test if it’s working by using this service. All you have to do is enter the URI or IP address of your server along with the credentials and then click on Add Server. Once it’s added to the list, select it and click on the Gather candidates button below. If the output looks similar to the one in the screenshot below, then your server is doing its job correctly. If the peer-to-peer connection isn’t established, it means that your server doesn’t work. It’s important to test things out first to see if they’re still working before we move to the next section. Now we’re ready to actually package the app so it can be executed on all three major operating systems: Windows, Mac, and Linux. We will be using Electron Packager to package the app. For the rest of this section, you can skip to the instructions for the OS that you’re currently using. But I recommend you to read what each option does under the Packaging for Mac section below. You can also read about all the available options here. This will look for a .icns file inside the assets/icons/mac folder. You can download the one we have on the repo or find an icon using iconfinder. Be sure to only use those that are labeled “free for commercial use”. The one I used for this project is also labeled as such. overwrite - overwrites whatever files are in the output directory. platform - the platform to build for. arch - the architecture of the platform. This can be either 32-bit (x86) or 64-bit (x64). But since most modern computers are now 64-bit, that’s what we’ve used. icon - the path to the icon file. The file format differs depending on the platform. For Mac, it’s .icns, for Windows, it’s .ico, and for Linux, it’s .png. prune - for removing unnecessary node modules from the app before packaging. out - the name of the output folder. This may or may not already exist. At this point, you can now launch it like your usual apps. electron-packager . 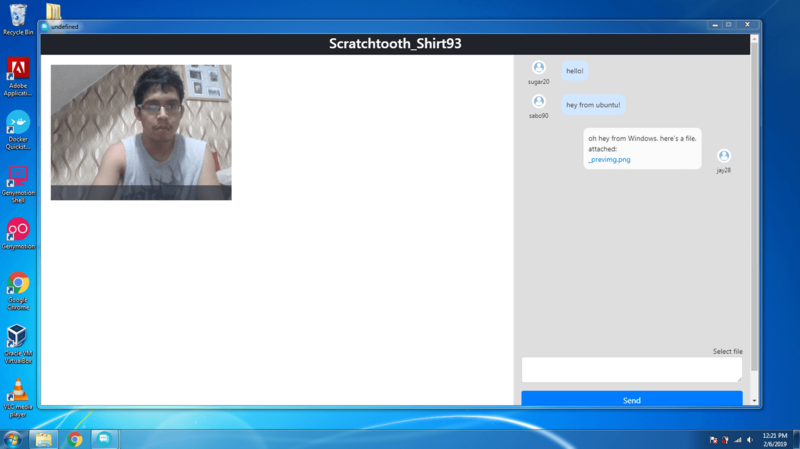 electron-videochat --overwrite --asar=true --platform=win32 --arch=ia32 --icon=assets/icons/win/icon.ico --prune=true --out=release-builds --version-string.CompanyName=CE --version-string.FileDescription=CE --version-string.ProductName="Electron Video Chat"
In this tutorial, you learned how to use a custom TURN server, and package an Electron app. That also wraps up the entire series. 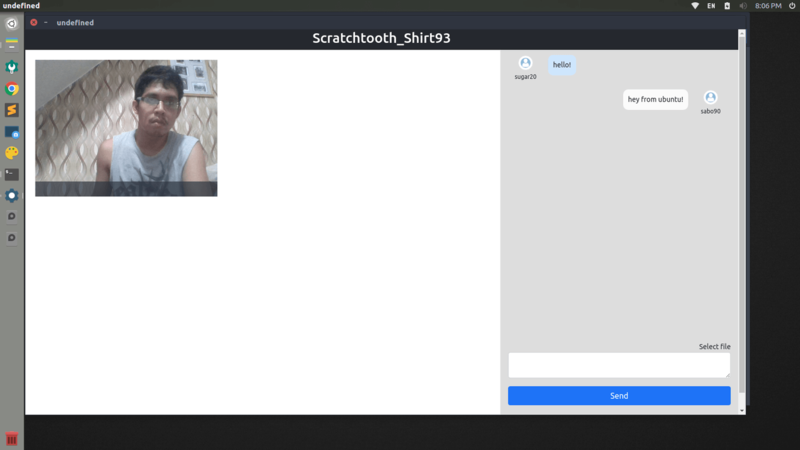 In this series, we created a video call and chat app from scratch using Electron, React, Simple Peer, and Chatkit. 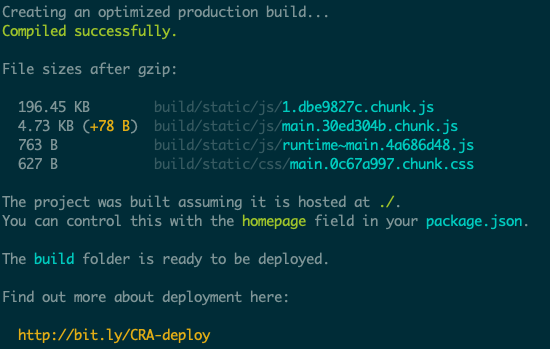 We used ngrok as a development server and Zeit’s Now for production. We also used Twilio’s Network Traversal Service in case the free TURN servers we are using doesn’t work. Lastly, we used Electron Packager to package the app for multiple platforms. You can find the code used in this entire series on its GitHub repo.